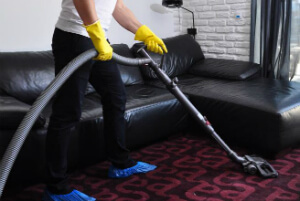 Haringey N Move out & End of Tenancy Cleaners | Quality Property Care Ltd.
For an outstanding end of tenancy cleaning service, call 020 3746 4287 for Quality Property Care Ltd. and get your money’s worth. We operate early mornings right up until late hours, all done by the best specialists in the business, equipped with the greatest gear and chemical solutions delivered by Prochem. Kitchen appliance - freezer, fridge, dishwasher, microwave, washing machine, range, toaster - clean inside and out, degrease, and getting rid of any residue. Quality Property Care Ltd. has been offering professional cleaning services to the residents and businesses of Haringey N since 2007. One of the specialties provided by the qualified and expert cleaners is the move in and out cleaning service. End of tenancy cleaning is necessary when tenants are moving out of a residence or apartment they have been renting. The landlord approves the cleaning and the condition of the residence prior to giving the deposit back to the departing tenants. Our company has several years of experience of working with the largest businesses and property managers, and based on the expertise and the requirements of the property owners and supervisors, has created a extensive deposit back cleaning checklist for its cleaning groups. Kitchen equipment like microwaves, stoves, toasters and so forth are cleansed completely as well, each carried out properly and with intent to do a fine job. The stove is cleansed, degreased with its oven, hob and grill property dealt with, the grill pan and oven racks are washed, the inside top of the oven will get a particular treatment, the rubber seal is wiped and cleaned out and we move the oven to clean behind it if needed. The microwave is leaned interiorly and out, and also on the top, any chemical substances used to clean and get rid of food remains is wiped away and wholly washed, the rubber seal is examined and the stove is clean on top and underneath. We won’t disregard even the littlest of details, your toaster is cleansed from any leftover crumbs, its wiped clean if required. We clean out cabinets and compartments, we clean on the inside getting rid of any remaining foodstuff and packages. Expired meals we throw away one which is still usable we put to one side for the customer or offer to a shelter close by. Scars around the handles are eliminated and unwanted items are thrown away. The rubbish bin is dusted and also washed on top and below, the soap dispenser is too cleaned. The sink is washed and cleared then wiped dry. We clean and dry the wall tiles all-around the sink, whilst also removing food and dirt deposits all-around the sink if any. We also clean the kitchen appliances inside and out, eliminating food deposits. To prevent candica development and remove odours we use anti-bacterial detergents with long lasting effects without any harmful outcomes on people or pets. Be quick to make a quick reservation for our flexible end of tenancy cleaning company Haringey N services! Quality Property Care Ltd. is available for your end of tenancy cleaning requests. Receive a free quote right now or ask for further details! Call this 020 3746 4287 phone number or the online booking form and reserve our end of tenancy cleaning service in Haringey N at fraction of the cost right now!